Maine Inn Broker of Inns, Bed and Breakfasts, motels, educating inn buyers and sellers: The BEST tip for clean bathrooms? So this isn't your average brokerage post. It's about clean bathrooms. Whether you have a hotel, motel, B&B, hostel, or rooms for rent in your house, a clean bathroom is paramount. I learned a trick as an innkeeper. MAGIC ERASERS. They're expensive but they are worth it! I'd buy a pack of 8 at either Sam's Club or Walmart for around $7. But you get a few uses from each. I've seen a lot of showers and tubs that appear to be clean. But do they feel clean? Can you feel a film on the surface, particularly of a fiberglass unit? If there's a film (which is built up over time), wiping it down with a sponge or rag and cleanser won't do it. 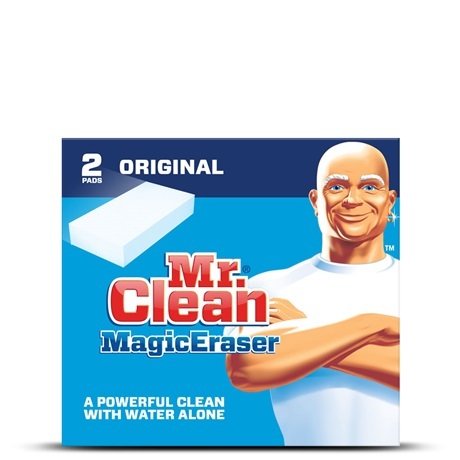 But a Magic Eraser will! Try it - just wet the Magic Eraser (just water). Wipe (with a little pressure) a section of where you feel buildup (or even if you don't feel it), just clean a section with the eraser and then feel the difference by swiping your finger through. The area you didn't yet clean will give your finger some resistance when swiping, but the newly cleaned side won't. I promise you, once you do this, you'll get the difference. And you'll know when it's really clean. When we owned our inn, I would always check rooms after the housekeepers, well before check ins, with a focus on the bathrooms and to make sure there was no buildup. Magic Erasers never failed. Try it. You'll know it's clean.